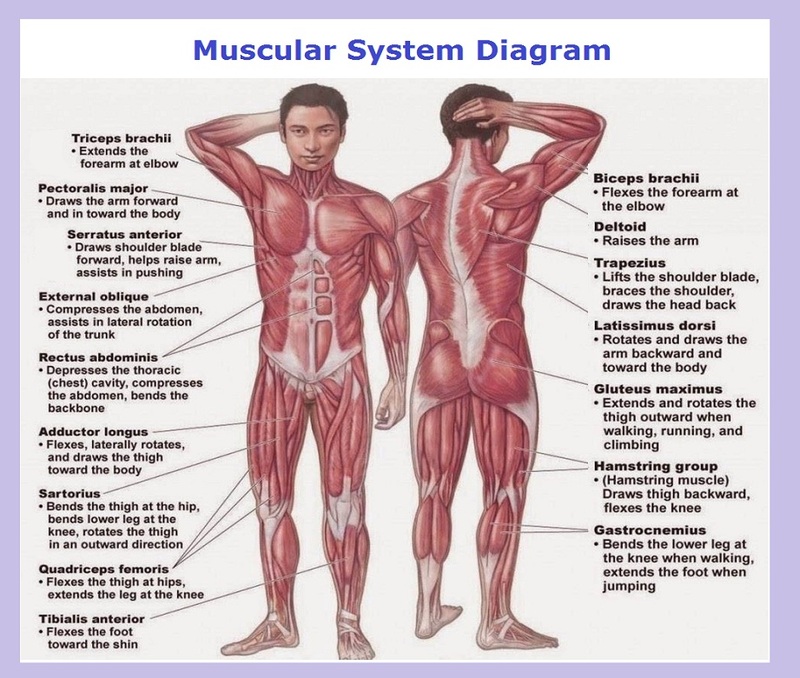 Muscular System Diagram – The diagram depicts the anatomy of various human muscles. The human muscles include biceps, tripezius, deltoid, triceps, abdominis (abs) and others. The muscular system explained by type of muscle and its movement.